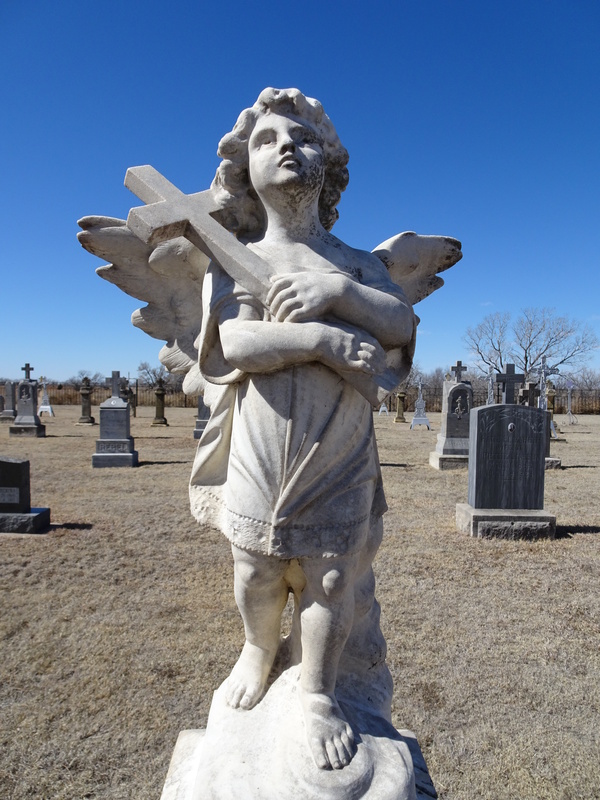 This entry was posted in Day Trips and tagged Churches, Kansas on April 9, 2017 by Debra Farmer. Just beautiful! I’ve been missing your posts — then I thought, “Maybe it’s planting time, silly!” I’m up in the hill country visiting a friend, and will be here until tomorrow. It’s full spring now, although today is a little disappointing, with heavy clouds and lots of wind. Not so good for flower photography! Thank you! 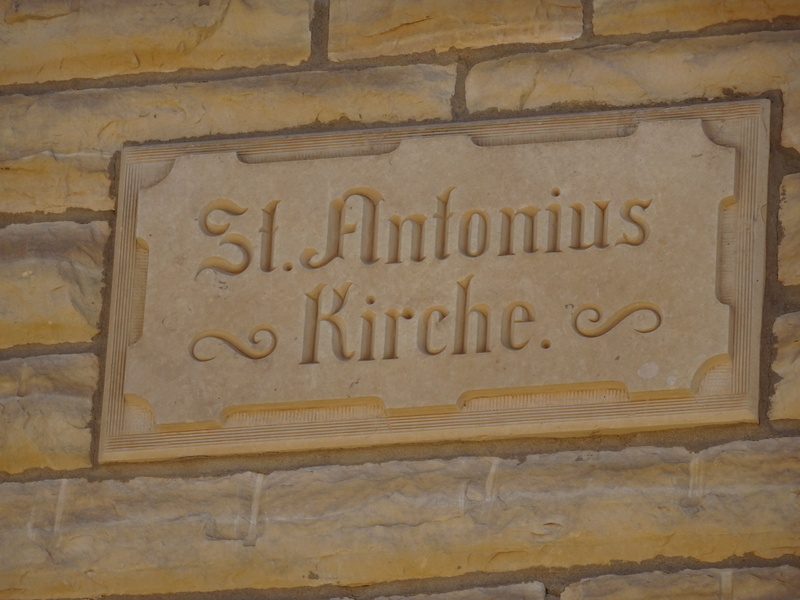 This church is near the church in Leibenthal (Churches Of The Prairie 24). One story is that some of the settlers couldn’t get along and moved their homes to Schoenchen, only 5 miles away. So amazing to see 2 beautiful churches so close together. Both churches offer weekly masses. We are having the same weather as you in the hill country today, clouds and wind! Enjoy your day! It would definitely would be worth the wait!! I tried the store bought dried version of morels and they don’t compare to fresh ones. I thought about putting Wylie in the photo to show how big the mushroom rocks are, but there have been 10 earthquakes this week in Kansas, I’m not placing him under a big rock!! What’s going on? It’s not fracking. I hadn’t heard a thing about those earthquakes. They can rattle more than the dishes, that’s for sure. I’ve been in a few, but nothing bad. I hope the earth goes back to sleep, now. Maybe it was just waking up after a long winter! Oh my Lord, girl, I am in LOVE with that Angel. I knew you would love her. I just went back and looked at your angel post. You also have some beautiful angels!! I tried to link your post to this comment, but for the life of me I can’t figure out how to do that!! On your WP edit page, is there a tool bar sort of looking thing? If so, is there a symbol that looks like a link out of a chain link fence? That’s how I add links. I choose a word, highlight it, then click that link symbol. A box will pop up. Maybe you already know all that and it’s just not working. If you’d like, I could link it here. I put a link to it in my post!! Thanks! Aw!! You’re SO nice!! Thank you!! Thank you. 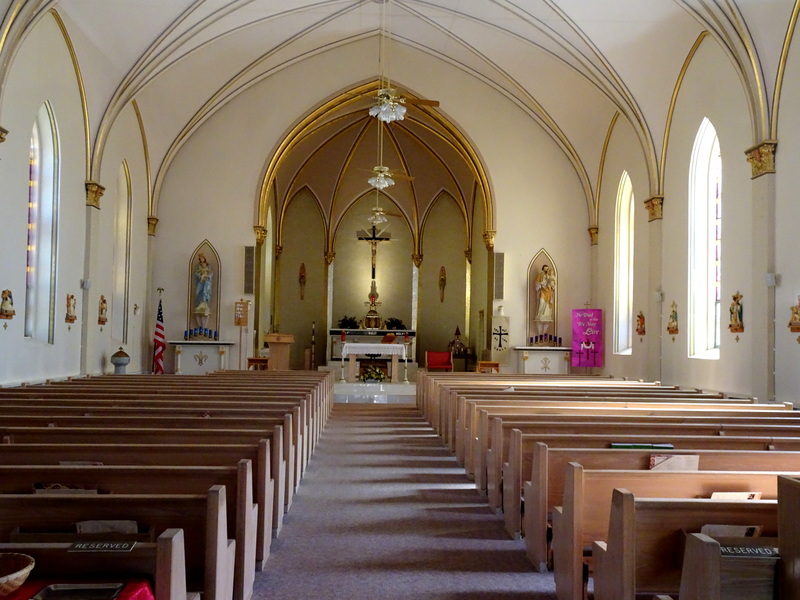 I hadn’t realized how many old beautiful churches are scattered around so close to me. Wow! I just now saw that you added that super sweet comment in about my blog. You are the BEST. Thank you so very much!!!! You have had 10 earthquakes? Had no idea. Were they out of Oklahoma? The earthquakes were centered around Mankato, KS. North central Kansas, next to the Nebraska border. They were small quakes, but I don’t think any quake is good news. I can’t imagine how busy you are. What is the housing market like in your area? I’m behind everything too, and I don’t have any excuses!! I’m with you on the earthquakes!! The housing market on houses in town or close to town but in the country is really good. A friend tried to sell her house “for sale by owner” for months and had no luck. Saw her at the grocery store last week and she said they were going to list it. Sold it the next DAY after the listed it. Our lake cabin on Bull Shoals has been listed for 17 days and no one has been in it…. I would much rather have a realtor, easier to deal with if there are any issues. It costs a bit but worth it.